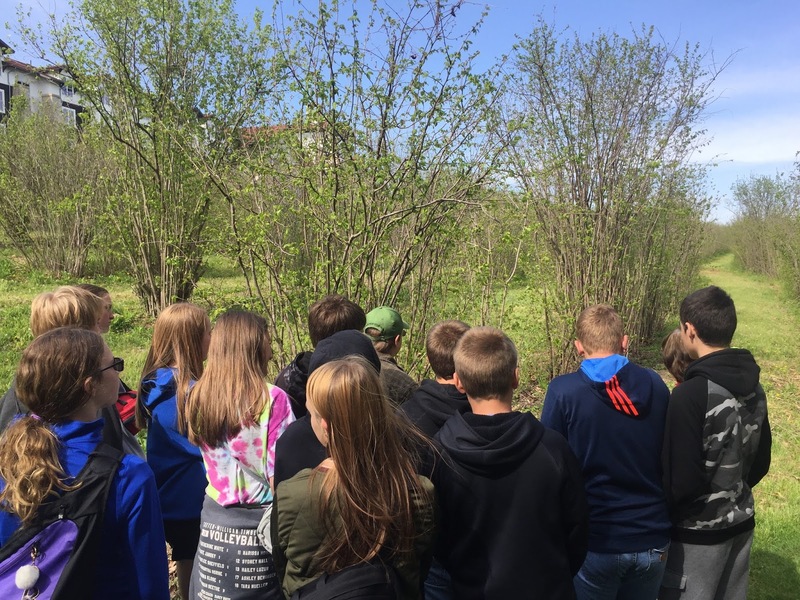 Exeter-Milligan 7th grade students from Mr. Jordan Marr & Ms. Lorie Sliefert’s classes celebrated Earth/Arbor Day by visiting Arbor Day Farms in Nebraska City. Students toured the Lied Lodge and hiked across the farm learning about the importance of various tree species and how they are used to assist nature and humans. In the picture, the class is learning about hazelnut trees and the variety of uses for the hazelnut.